Betsafe is one of the most important bookie all around the world, owned by a Scandinavian consortium and licensed in Costa Rica. Now the site, online since 2002, can cout more than 450,000 customers in over 100 different countries around the word. 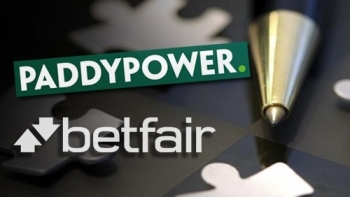 This bookmaker wants to be very safe, as the name suggests, and wants to offer a wide selection of innovative products such as poker, sports betting and casino games”. The site is restricted in some countries: in Italy and in the USA for example, but in Belgium, Denmark, France, Hong Kong, Spain, Turkey, too. In all the other countries the site is well known and loved by bettors who want to play and bet without troubles. Join Betsafe right now and take advantage of the special welcome bonus designed especially for you! SUBSCRIBE NOW! On the Betsafe site you can find every major European and South American football league. In addition, there is anothere big advantage: those who are looking to bet on the Scandinavian leagues can find their world here. The site offers a solid coverage of tennis, golf, cricket and some other American sports, such NFL, NBA, MLB and more. For that reason this bookie is very useful for all the fans of US sport. You can never get bored on this site and it is a beautiful place to bet and play. If you want a game account on Betsafe, you can do it with few clicks. It is very easy, thanks to a site graphic that is very well done. You have to click on the link to subscribe and you have to enter some personal data, to choose a username and a password and start to play and bet. You have to place some funds on the account to do your first bet. You can have a big welcome bonus of the first deposit and you can take advantages from various promotions. The deposit methods allowed are: Maestro, MasterCard, Neteller, Paysafe Card, Visa, Entropay, Skrill, iDEAL, MyCitadel, Trustly. The withdrawal methods are: Bank Wire Transfer, Neteller, Visa, Skrill, Entropay, Trustly. We have to underline that this bookie offers excellent customer service. You can reach the helpful team via telephone, email and Live Chat 24 hours a day, seven days a week. Betsafe operators try to answer your chats within just 60 seconds.